This printer is amazingly affordable and offers desktop laser printing for personal users. 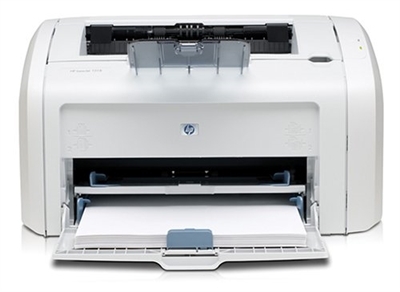 HP has made it easier than ever to own a LaserJet printer with the introduction of the LaserJet 1018. This printer is amazingly affordable and offers desktop laser printing for personal users. The simple, compact design of the 1018 saves you valuable work space and is an ideal fit on virtually any desktop, shelf, or other small spot. With HP REt 600 dpi print quality and the reliable HP LaserJet print cartridge, the HP LaserJet 1018 produces crisp, clean text for your business documents. The printer boasts print speeds of up to 12 pages per minute (ppm) letter, and thanks to Instant-on Technology, the printer delivers a first page out in less than 10 seconds. 14.6" x 9.5" x 8.2"